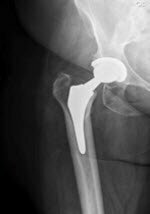 The ultimate goals of total hip arthroplasty (THA) are to relieve pain and improve function. Successfully restoring proper hip biomechanics first requires an appreciation of each patient’s unique anatomy. The use of modular components to mimic the anatomy of the hip is not a revolutionary concept; it has been used for decades in THA for acetabular and femoral component designs. A variety of systems are available and can be classified according to the location of the modular junction. The two basic types are proximal and mid-stem modular components. Newer modular designs provide a prosthesis that gains fixation in the metaphysis and consists of a modular neck portion. The idea of custom fitting total hip components to patient anatomy using modularity is not new, particularly in cases with deformity or unusual bone morphology. Biant et al reported excellent 10-year follow-up results for cementless modular stem systems for patients with developmental dysplasia of the hip (DDH) . Patients who have conditions typified by abnormal bone morphology, gracile medullary canals, or metaphyseal-diaphyseal mismatch (congenital coxa vara, Paget disease, or DDH) may benefit from the use of a modular system that can accommodate these variations in the anatomy (Figure 1). Figure 1. Small canal with disproportionally large metaphysis. Femoral component modular systems may theoretically help address version, neck angle, leg length, offset, and proximal/distal sizing. Noble et al  analyzed more than 200 cadaveric femurs, finding no specific relationship between the size and shape of the proximal femoral metaphysis and diaphysis. The geometry of the current non-modular neck stem designs may not be able to address all of these different anatomies; therefore, the use of modular stems could allow for intraoperative flexibility to address a wide range of morphologies. Sakai et al  reported that femoral neck and head modular systems provide for greater range of motion, reduced need for an elevated liner, thereby reducing the overall incidence of osteolysis. With the variety of neck lengths and head sizes, there are between 8,300 and 10,400 possible combinations available . Modular stems may help improve recreation of femoral offset and improve leg length optimization . Although there are many theoretical benefits of modular THA systems, some potential disadvantages exist. The use of modular neck systems introduces an additional junction that may be prone to failure, either through fracture or corrosion. Most of the fractures are considered due to fatigue. The use of CoCr may reduce the risk of these fractures at proximal modular femoral stem junction . Fracture rates of up to 8.9% have been reported . Corrosion and fretting of the head-neck and stem-sleeve junctions has been demonstrated . Furthermore, corrosion may be also dependent on time and whether the metal alloy at the junction is the same or mixed (Figure 2). Mixed alloy junctions may have higher rates of corrosion [9,10]. Figure 2. Corrosion at the modular neck junction. Another potential issue is micromotion at the modular junction. Micromotion and corrosion may result in the release of cobalt and chromium ions, resulting in findings similar to that seen in some metal-on-metal bearing surface adverse local tissue reactions (ALTR). Recently, there has been a recall of two specific designs due to corrosion, fretting and increased risk of ALTR . THA modular systems are associated with significant cost and it is important to emphasize that not all patients require modular femoral stems as a part of their reconstructive procedure. Selective use of modular stems in unique cases may be justified but widespread adoption of these devices should be avoided until longer-term studies become available. Hitt K. The Cementless Modular Stem. Surgical Treatment of Hip Arthritis. Reconstruction, Replacement, and Revision. Ed. Hozack W, Parivi J, Bender B. Elsevier. 2010. Van Houwelingen A, Ducan C, Masri B, Gredianus N, Garbuz D. High Survival of Modular Tapered Stems for Proximal Femoral Bone Defects at 5 to 10 Years Follow-up. 2013. Clin Orthop Relat Res. 471(2): 454-462. Biant et al. Primary THA in Severe DDH. 10 Year Follow-Up Cementless Modular Stem. 2009. J Arthroplasty. 24: 27-32. Noble et al. The Anatomic Basis of Femoral Component Design. Clin Orthop Relat Res. 1988. 235:148. Sakai et al. Modular Femoral Neck and Head System Works Well in Cementless Total Hip Replacement for Patients With Developmental Dysplasia. 2010. Jour of Bone and Joint Surg. 92: 770-776. Bono et al. Fixation with a Modular Stem in Revision THA. 1999. J Bone and Joint Surg. 9: 1326-36. 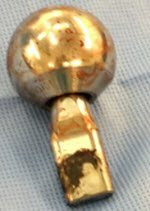 Archibeck M, Cummins T, Carothers J, Junick D, White R. A Comparison of Two Implant Systems in Restoration of Hip Geometry in Arthroplasty. 2011. Clin Orthop Clin Res. 469(2): 443-446. Carlson J, Citters D, Currier J, Bryant A, Mayor M, Collier J. Femoral Stem Fracture and In Vivo Corrosion of Retrieved Modular Femoral Hips. 2012. 27(7): 1389-1396. 10. Goldberg et al. A Multicenter Retrieval Study of Taper Interfaces. Clin Orthop Relat Res. 2002. 401: 149-61.